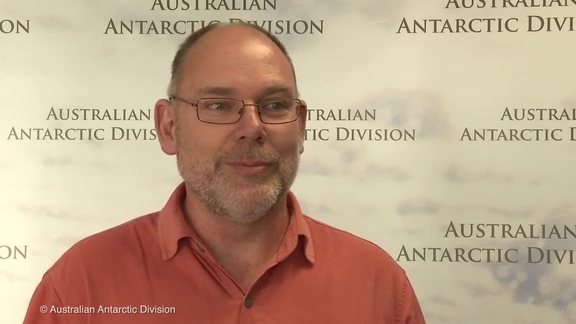 ABSTRACT: Recent discussions in the IPCC and the Antarctic Treaty System have shown the great importance to policy makers for measuring change in Southern Ocean ecosystems but that there are many gaps in our current knowledge. A capability is being developed to assess dynamics and trends in these ecosystems to understand what is likely to change as whales and seals recover from over-exploitation, along with the varying influences of ozone hole recovery, ocean acidification and future climate change. This capability is being developed in two international programs: the Southern Ocean Observing System and in the Southern Ocean Sentinel, which is a signature project in the IMBER Program, Integrating Climate and Ecosystem Dynamics of the Southern Ocean. These two programs complement each other in designing and implementing an observing system to measure change in Southern Ocean ecosystems and in developing statistical and mathematical methods for assessing status and trends in these systems based on the observation system. This talk will describe the significant progress being made by the Southern Ocean ecological community in building this capability and discuss the future work program that will yield a co-ordinated interdisciplinary, multinational activity equivalent to those programs within SOOS that have been established for the physical sciences. It will describe how the community is assembling a set of ecosystem Essential Ocean Variables, how it is developing a systematic field program for obtaining these measurements in a cost-effective manner and the innovations that are being sought to enhance this capability. The talk will conclude by presenting the timetable over the next 4 years to deliver a quantitative assessment of status and trends in Southern Ocean ecosystems by 2018. BIO: Dr. Constable is a marine ecologist using science to assist in sustainably utilising and conserving marine ecosystems. He has been active in the Commission for the Conservation of Antarctic Marine Living Resources (CCAMLR) for nearly three decades. He was a lead author in Working Group II of the Intergovernmental Panel on Climate Change synthesising knowledge of climate change impacts on Antarctic ecosystems. His primary interests are (i) developing a scientific basis for the ecosystem approach to managing Antarctic fisheries, (ii) the conservation of Antarctic marine biodiversity, including marine protected areas, and (iii) estimating and assessing the future impacts of climate change on the Antarctic marine ecosystem. He works closely with oceanographers, sea ice physicists, biologists, ecologists and modellers to help develop simulation models of marine ecosystems. Through the Southern Ocean Observing System (SOOS) and the Southern Ocean Sentinel of the international program Integrating Climate and Ecosystem Dynamics (ICED), he is helping facilitate work to build international collaboration in the Southern Ocean to measure rates of change of those ecosystems in response to climate change. He has recently been appointed as ViceChair (Biology) in SOOS. He has over 40 refereed publications in the scientific literature, edited two special issues on marine ecosystems, and contributed over 160 scientific and policy papers to the work of CCAMLR and other forums. He was lecturer in marine ecology at Deakin University in 1994-1997 before moving to the Australian Antarctic Division. For enquiries and appointments with the guest speaker, please email Ty Matthews.